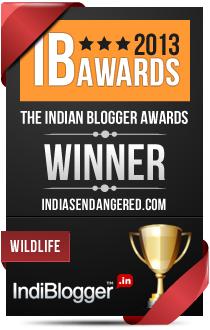 A monthly focus on one of the many national parks and wildlife sanctuaries of India. The Indo-Nepal border in the Bahraich district of Uttar Pradesh nurtures a beautiful jewel of nature, the Katerniaghat Wildlife Sanctuary, a sprawling Terai jungle riddled with verdant grasslands, marshy swamps and exciting wetlands brimming over with wildlife. Gharial or Long-nosed Crocodile (Gavialis gangeticus) – Listed as Critically Endangered on the IUCN list. Ganges Dolphin (Platanista gangetica) – Listed as Endangered on the IUCN list. Tiger (Panthera tigris) – Listed as Endangered on the IUCN list. Asian White-backed Vulture (Gyps bengalensis) – Listed as Critically Endangered on the IUCN list. Indian Vulture or Long Billed Vulture (Gyps indicus) – Listed as Critically Endangered on the IUCN list. Bengal Florican (Houbaropsis bengalensis) – Listed as Critically Endangered on the IUCN list. Barasingha or Swamp Deer (Rucervus duvaucelii) – Listed as Vulnerable on the IUCN list. Hispid Hare (Caprolagus hispidus) – Listed as Endangered on the IUCN list. The Sanctuary is located at 28°13’4.30″ North Latitudes and 81°14’52.81″ East Longitude. Spread over an area of 440 sq. kms, the sanctuary acts as a corridor between the Dudhwa National Park in India and the Bardia National Park in Nepal. The Katerniaghat Ghat Wildlife Sanctuary was earlier a part of the forest division of West Bahraich. It was declared a sanctuary in May 1975 and includes the Nishangarah and Katerniaghat ranges and the forests of Motipur, Murthia and Kakraha. The River Girwa flows through the sanctuary and houses a wealth of riverine biodiversity. The Katerniaghat Ghat Wildlife Sanctuary is a cornucopia of wildlife with its varying habitat of lush grasslands, swamps, wetlands and Teak and Sal forest. The river Karnali that originates in the Himalayas breaks into a loop on the plains, one leg of which is called the River Girwa and flows through the sanctuary. The Sanctuary is mostly just around 10 kilometres in width all along, which makes it susceptible to man-animal conflict. Teak (Tectona grandis) and Sal (Shorea robusta) trees dominate the jungles of the Katerniaghat Wildlife Sanctuary. Species such as Rohini (Mallotus phillipensis), Haldu (Adina cardifolia), Kusum (Schleichea oleosa), Asna (Terminalia alata), Chamraudhi (Ehretia laevis), Jamun (Syzygium cumini), etc form the next level of canopy. The rest of the jungle is sprawling with grasses such as Saccharum spontaneum and Saccharum munja interspersed with plantations of Semal (Bombax cieba), Shisham (Dalbergia sisso) and Khair (Acacia catechu). Fig trees such as the Peepal (Ficus religiosa) and the Banyan (Ficus bengalensis) are also occasionally found in the jungle. Besides the royal king of the jungle, the Tiger, the Katerniaghat wildlife Sanctuary is a haven for catching a glimpse of other endangered species. The waters of the Girwa River are the ideal place to view the critically endangered Gharial crocodile in one of its last three remaining breeding habitats. One can also view the endangered Ganges Dolphin in the same habitat. The vast grasslands and the marshlands near the river provide a home for the endangered Hispid Hare and the vulnerable Swamp Deer. Occasionally one might also come across elephants or rhinos which venture into Katerniaghat from the adjoining Bardia National Park of Nepal. More than 350 species of birds can be seen in the sanctuary. 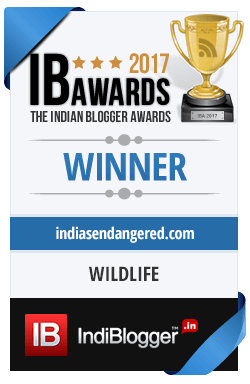 Rare species to watch out for include the critically endangered Indian Vulture, Asian White-backed Vulture and the Bengal Florican. Katerniaghat promises to be a delight for herpetologists with reports of fascinating species like the Banded Krait, the Yellow-speckled Wolf Snake, Paradise Flying Snake and the Burmese Rock Python being sighted there. Visitors can go for boat safari as well as a jungle safari in an open 4×4 gypsy vehicle and watch different species. Forest Rest Houses facilities are present at Dharmapur, Murtiha, Katerniaghat and Nishangarah. Also, there are 4 cottages available each at both Motipur and Kakraha locations which offer a marvellous forest view and environment for the visitors. Camera Charges – INR 3500 for Indians and INR 7000 for non Indians. Nearest Airport – Amausi Lucknow is about 210 kms away from the Park. Nearest Railhead – Bichhia is the nearest railhead. Since a variety of species in different habitats can be found at Katerniaghat, plan your trip as per the species that you are most interested in viewing. For example, winter season is the best time for viewing birds. Always plan your trip well in advance. Other activities that can be done at Katerniaghat include visits to the border towns at the Indo-Nepal Border and to the holy sites of Buddhism like Kushinagar and Shrawasti.